The Zwaardvis class submarine (Swordfish) is a conventional attack submarine that replaced the Dolfijn class submarines in the Royal Netherlands Navy. Zwaardvis is based on the U.S. Navy Barbel class with the teardrop hull design. 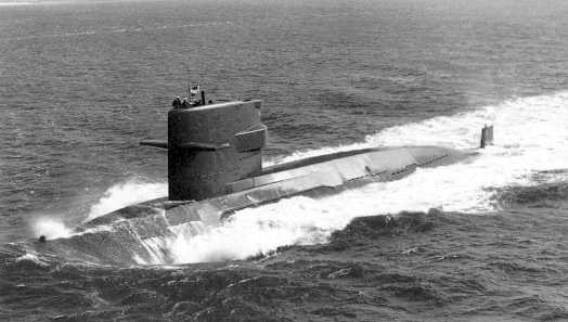 In September 1981 the Republic of China (Taiwan) ordered 2 modified Zwaardvis class submarines, the Chien Lung/Hai Lung class. In 1992 a repeat order for another 4 boats was turned down by the Netherlands Government because of pressure from the People's Republic of China. The two Dutch boats have been replaced by the Walrus class. The two decommissioned Dutch boats, Zwaardvis and Tijgerhaai, were loaded onto a ship and transported to PSC-Naval Dockyard, Lumut, Malaysia in anticipation of purchase by the Malaysian Navy in 1997. However, the Malaysian Navy declined the offer and chose the French Scorpène class instead. The two boats are still in Lumut awaiting a buyer and possible refurbishment.